Barnes and Noble's most recent round of troubles leave the company on uneasy footing, to say the least. As they continue to close retail locations, many are left to wonder what's to come of the bookstore industry. It's sad because I remember as a kid, my dad would always drag my brother and me along on errands every Saturday morning. The usual boring ones were in there: dry cleaners, grocery store, mall, the odd oil change. Many of these places gave new meaning to the words "boredom," "fatigue," and "I told you kids to knock it off!" The one place we never minded visiting was the bookstore--usually B.Dalton back then. My brother and I could be content there for hours, browsing through the sci-fi section, hunting for our next literary conquests. Sadly, those days appear to be numbered. Some indie bookstores are popping up to serve previously-Barnes and Noble -dominated territory, but as readers increasingly turn to ebooks, even those stores will have to increase their electronic presence at some point. My business partner, Rick Tucker, and I think we have a solution. 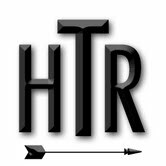 We started a site called Hunt to Read; it has only been online for a couple of weeks. It's our goal to make hunting for ebooks fun, just how my brother and I used to have a blast looking through bookstores for now-cherished favorites. We have a bunch of improvements to the reader interface in the works to make the book browsing process fun and exciting. Additionally, if you're an author, you can always list your book on our site for free. For a limited time only, you can have access to six months of our analytics, a perk that will eventually be included in our premium memberships. But browsing books will always be free for readers, and it's our goal to make a fun and exciting community where readers and writers can interact and enjoy themselves. All that's not to say that I haven't found some classics; from H.G. Wells' The Time Machine that I first came across at my school's book fair, to the copy of 20,000 Leagues Under the Sea that had been quite literally submerged in a relative's basement. Every book that's near or dear to our hearts has a story behind it, perhaps even a poignant one if it was given to you by a beloved friend or relative. So my question to you is: Where is the craziest place you've found a cherished book? A gift? A hand-me-down? Maybe at a garage sale or discarded in an attic...or even the trash (hey, I don't judge!). If you have a favorite book discovery story, please share it in the comments. Who knows? Maybe Hunt to Read will use your tale to help shape future hunts. D.J. Gelner is an indie author (Amazon Author page here) and CEO of Hunt to Read, a book discovery and analytics site. You can check out Hunt to Read here or visit its facebook page here. Follow him on Twitter @djgelner and get the latest book tips by following @Hunt_to_Read as well.